When reflecting on the life of Reatha Jackson, two threads are continuously woven throughout her magnificent tapestry of moments - family and faith. Everything she did throughout her life was centered around her devotion to these two things, and through the life she lived each day she was a genuine inspiration to all who were near. Selfless when it came to those around her, Ree was more than willing to help anyone in need in ways both great and small. She was the sort of person who could find beauty in even the simplest of things, and she made sure that those around her did as well. Deeply loved, Ree will be forever missed but never forgotten. The 1930s were trying days in America as the entire decade was cloaked in the hardship of the Great Depression, and nearly every family felt the strain. Despite the trials around them, George and Mary (Wingo) Darby were able to shift their focus to an exciting time in their own lives as they announced the birth of the healthy baby girl they named Reatha on December 21, 1931, in the family farmhouse located to the West of Gaylord. Ree, as she soon became known, was the seventh of eight in the Darby clan, joined in her family by her older siblings, Ivan, Thelma, Leila, Veda, Arthur, Robert, and younger sister Ruth, who was actually born a twin; sadly, he died at birth. Raised on the family farm surrounded by plenty of love, Ree was a typical young girl of her generation. The farm meant that there was more than enough work to go around as they all pitched in. At times the work, which included things like fetching eggs from the coop, milking the cows, and canning vegetables and fruits, was exhausting, but Ree learned to give everything her all. She attended schools locally and graduated from Gaylord Rural Agricultural School in 1950 as the class salutatorian. While in high school Ree was also the business manager of the annual yearbook for two years, played in the band, was a member of the glee club, played basketball, and was also in the senior play. In addition, she was very active in the 4-H club, winning the Otsego County 4-H Club award for the most outstanding girl 4-H member. An excellent seamstress, she was awarded highest honors for clothing that she created at both local and state levels. Ree was one of the organizers of the Junior Farm Bureau group and served as director for several years. In 1952, she was awarded first place at the state finals for the National Rural Youth Talk Meet, sponsored by the American Farm Bureau, which was held in Seattle, Washington. 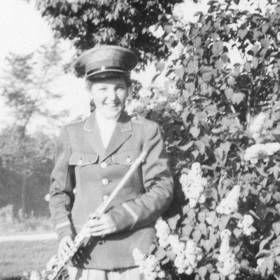 After graduating, Ree moved to Chicago where she lived at the YWCA and worked as a secretary for the Lyons Instrument Company. 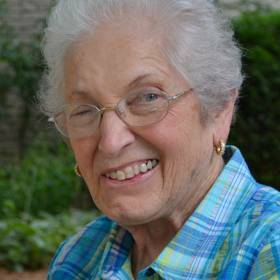 Since she missed her family and friends, Ree returned to Gaylord in 1951 and began working as a secretary at Standard Products Company. This proved to be quite fateful as it was here that she met the man of her dreams. His name was Norman “Norm” Jackson, and he was hooked from the moment he saw her in her green coat with orange dots. 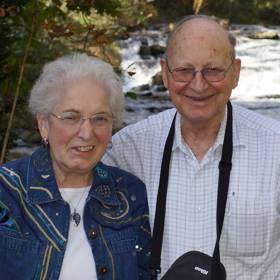 With a desire to establish a life together, Ree and Norm were married on August 14, 1953, at the Gaylord Methodist parsonage. Together they welcomed four children including Deborah (Deb), William (Bill),Terry, and Kim into their hearts and home. They moved around a bit as they first lived in Gaylord and then moved to Lakeview, Ohio for a short time before settling into a home in Sheffield Lake, Ohio, where they remained for 17 years. In 1972, the Jacksons relocated to Livonia, Michigan, where they resided for the next 43 years. Camping was an essential component of family life beginning in 1960. Over the years they went to numerous state and national parks and campgrounds throughout the United States. What started out as a way to enhance their children’s education became a lifelong passion for getting outdoors and exploring the beauty of nature. Although they generally camped in tents, the month long trip in the motor home out West in 1969 was certainly a time to remember. They visited several places including the Grand Canyon, Zion, Bryce, Grand Tetons, Yellowstone, and Rocky Mountain National Park. This trip cemented family bonds that continue today as the extended family gathers to vacation together at different parks, some from great distances. Together Ree and Norm also enjoyed international travel to the Holy Lands and Europe on tours with friends from their church and from the Case Western Reserve Alumni Association. She also cherished annual trips with Norm to visit their children, grandchildren, and great-grandchildren who lived all over the country. Equally important was her time spent with the family located in the Detroit Metropolitan Area. She treasured being with her grandchildren, great-grandchildren, and the neighbor children who affectionately called her “Grandma Ree.” Not only did she engage with these younger generations on their level, but she was also a ready partner for just about anything.  Just like her family, faith was a cornerstone in Ree’s life. 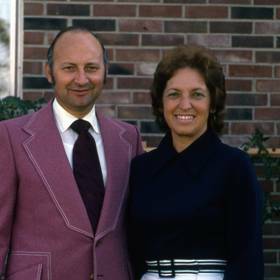 Devout Christians, Ree and Norm joined Ward Presbyterian Church in 1972 and quickly became deeply involved in the life of the church. 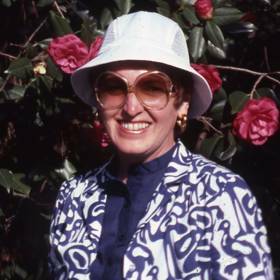 Ree served as a deacon, was active in Presbyterian Women, and for many years she and Norm were regular attendees of the Tuesday evening Bible Study group and the Wednesday evening fellowship and education programs as well as active members of the Keenagers group. On Sunday mornings, they were Greeters and regularly attended worship. Throughout her life Ree was a woman of many interests. An expert seamstress, Ree made clothes for herself and her daughters, as well as decorative items for her home. Her crowning achievements were the wedding dresses made for Kim and Joyce; the bridesmaids dresses for Joyce, Kim and Terry's weddings; and the flower girl dresses made for granddaughters Gina and Amy to wear in Deb's wedding. Ree had a passion for vintage glassware, especially milk glass, loved gardening, often with Norm, and their yard was truly amazing. She was a very vocal sports fan who cheered for the Tigers and both Michigan and Michigan State football and basketball. All who knew Reatha Jackson would agree that she was truly beautiful on the inside and out. Her unwavering faith was the compass she used to direct her steps, and her joy for the Lord was easy to see. Ree was generous beyond compare, and her love for her family was truly unmatched. Although she will be deeply missed for her cheerful disposition, her kindhearted touch, and her joyful spirit, her unconditional love will be her lasting legacy. Ree will never be forgotten. Reatha Lois Jackson died on May 20, 2016. 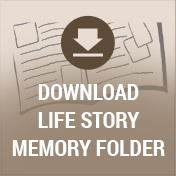 Ree’s family includes her husband, Norman Jackson; children, Deborah (Charlie) Lum, William (Joyce) Jackson, Terry (Ed) Leib, and Kim (Frank) Cognato; ten grandchildren; and seven great-grandchildren. Funeral service 11 a.m. May 28 in the Chapel, Ward Presbyterian Church (Northville). Visitation 3-8 p.m. May 27 at Neely-Turowski Funeral Home (5 Mile, Livonia), and 10-11 a.m. May 28 at the church.